Rabab Youssef holds her son, Hassan, 4, at a relative's house in Aley, Lebanon, east of Beirut, on Thursday. 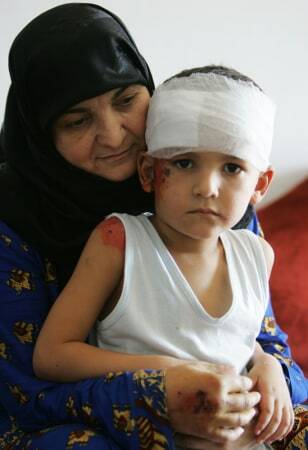 Youssef and her son were injured in Qana during an Israeli air raid on Sunday. Hassan's sister was among the 54 people killed during that raid.